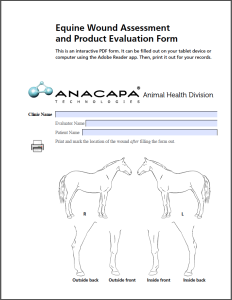 Click here for our Interactive evaluation form that you can fill out right here online. Then print and circle with wound areas on the diagrams on the last page. © 2019 Anacapa Technologies Animal Health. 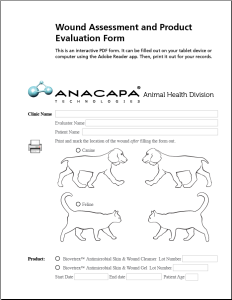 Biovetrex is a trademark of Anacapa Technologies, Inc. All rights reserved.